We describe Monterosa as an "atoll within the mediterranean", and rightly so because the house is completely isolated on a hill amid fields and can only be accessed by walking 650 meters up a track. 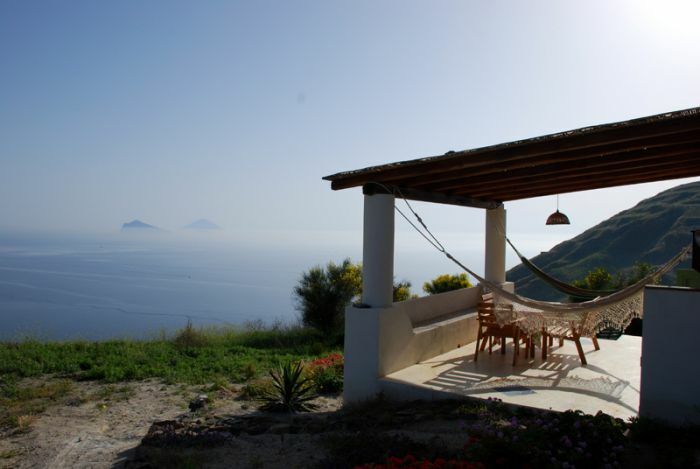 Spectacular views across Lipari and towards Stromboli, Panarea, Vulcano and Sicily. Ideal for meditation, the house comprises a large room with double bed, bathroom with shower with access to a large covered terrace furnished with a stone cooking corner. Included is a safe, coffee maker, kettle, satellite TV, ceiling fan, stereo set, hairdryer, garden furniture and a spotting scope. 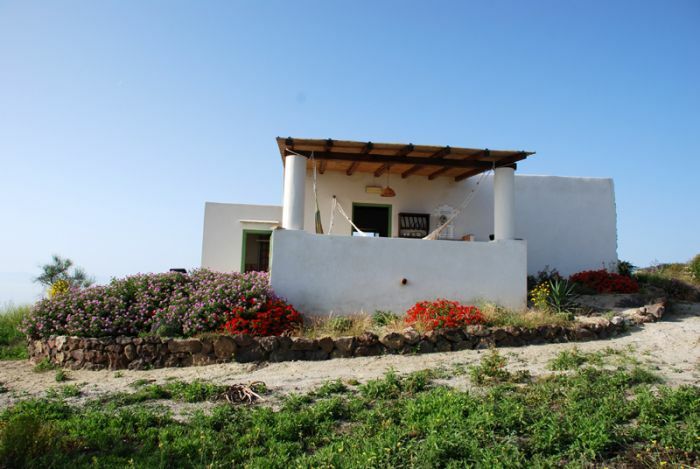 Unit 12 - cottage atollo monte rosa nord lipari We describe Monterosa as an "atoll within the mediterranean", and rightly so because the house is completely isolated on a hill amid fields and can only be accessed by walking 650 meters up a track. 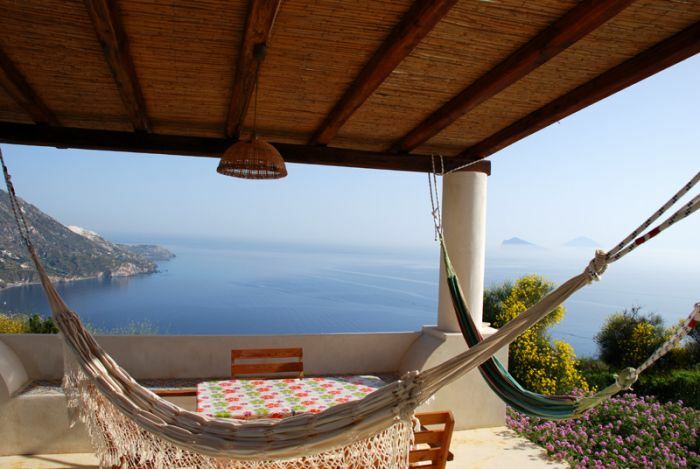 Spectacular views across Lipari and towards Stromboli, Panarea, Vulcano and Sicily. Ideal for meditation, the house comprises a large room with double bed, bathroom with shower with access to a large covered terrace furnished with a stone cooking corner. Included is a safe, coffee maker ( amerikan coffee), kettle, microwave, toaster satellite TV, ceiling fan, stereo set, hairdryer and garden furniture and a spotting scope. Unit 10 - Villetta Terasia Lipari Aeolian islands - Lipari Santa Margherita LaneRecently restructured hillside guesthouse in local architecture, comprising large studio room with double bed and additional folding bed, shower-room (with massage jets), and fitted kitchen area leading onto a charming covered garden terrace with panoramic views. The guesthouse is equipped with air-conditioning, ceiling fans, satellite TV, laundry facilities, a barbecue and reassuringly.... windows mosquito nets! The guesthouse is off a country lane with no public transport access, and can be reached from the port by vehicle or foot either up a steep and narrow lane (3kms) or a more leisurely road (7kms). Unit 3 - casa particular al tramonto lipari On Lipari island, old stone barn amid a vineyard with suggestive westward views across the sea to Filicudi, Alicudi and Sicily's Mt. Etna, and from the roof terrace, views of Vulcano and Salina. Accessible via a muletrack some 150 meters from a clearing for parking cars and scooters, the house is comprised of a 30sqm studio with a 1. 80m high sleeping loft offering sunset views from a double bed. Ground level double sofa and large bathroom with shower. The room leads into the kitchen, which was once a stable - no horsing around when cooking though! Typical eolian covered terrace completes the recently restored and furnished house which also includes a safe, air-conditioning, barbecue, hammocks, iron and hairdrye, microwave, toaster. Recommended for nature lovers who enjoy a tranquil setting, about a kilometer from the nearest village, Pianoconte. Due to its location, Guests might want to hire transport on arrival. 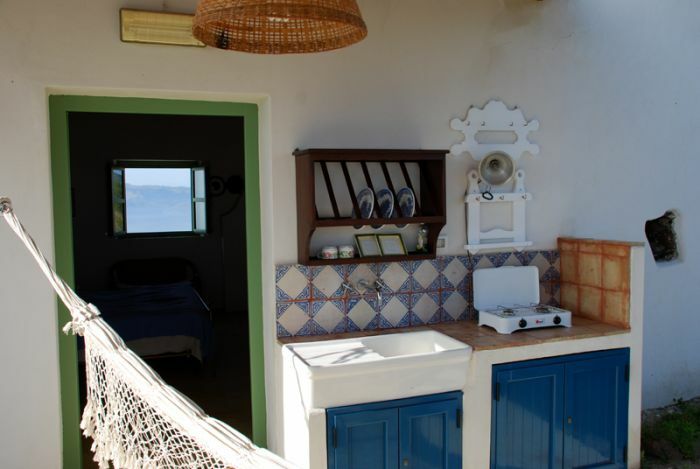 Unit 6 - lodge maracuja lipari part or villa passion Farm house on the Aeolian island. 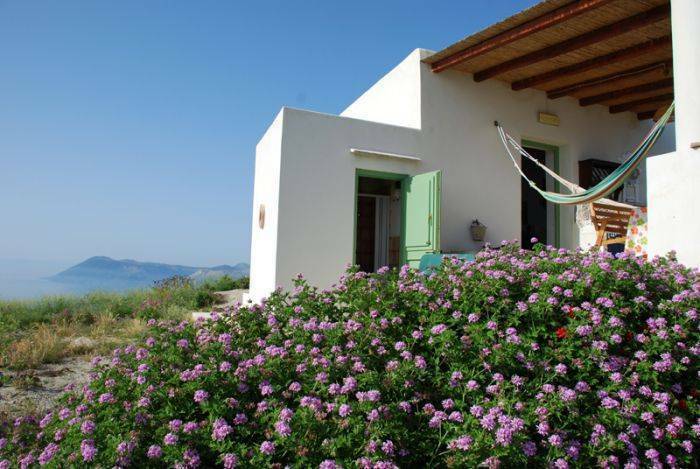 Charmingly restored stable annex of old ( 1800) farmhouse in Monte on the island of Lipari with panoramic views of the sea and hills, the bay of Lipari with the town center, the island of Panarea and Stromboli with the eruptions of the active vulcano. Gated entrance with barbecue and outdoor shower leads onto a covered porch overlooking the sea. Inside studio with double bed, bathroom with shower panel and hydrojets for body massage, kitchenette. Fully furnished throughout with mod-cons, washingmachine. Yuo may drive till 150 mt from the house then walk or with a scooter. There is a bus stop at 150 mt, bus that takes you to the town center and the beaches. Unit 7 - lodge buzios lipari part of villa passion Recent addition to the Lodge Maracuja annex, the independently accessed Lodge Buzios. Ground level sofabed and antique-tiled bathroom with state-of-the-art massaging power-shower. Kitchen with antique cooker/oven, fridge/freezer. Large covered terrace furnished with two lounge beds, tables, chairs and hammock with views across to Panarea and Stromboli leads onto garden and barbecue. Perfect for lazy evenings. The house is offered with a safe, satellite TV, stereo set, iron, duvet. Access from the road up a 150 meter muletrack. Unit 23 - cannella on canneto beach-Cannella . Charming 1° floor studio, renovated. Seaview, moments from the beach. Studio room, tv, shower room, terrace with kitchen corner and barbecue. Unit 24 -zenzero on canneto beach- Zenzero. 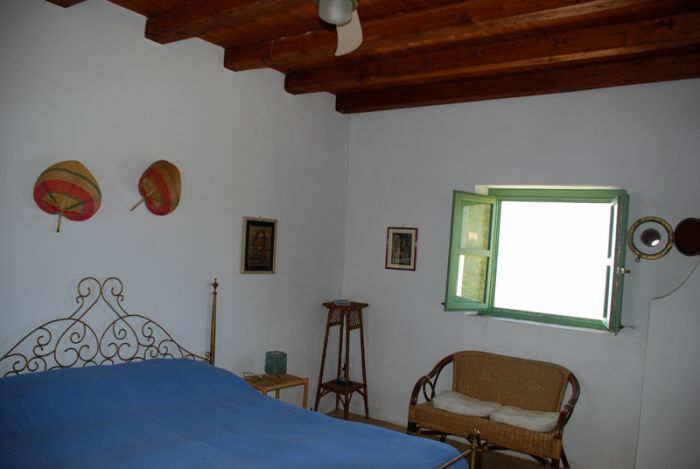 charming studio flat newly renovated, on the second floor reacheable through stairs, in a old building in front of the sea, closed to canneto beach. With one bedroom, bathroom with shower, equipped terrace with sea view barbecue and kitchen corner. with tv and air conditioning. Unit 2- studio flat ambra on lipari town center-On Lipari island, renovated studio in historic centre, double bed with mosquito net, kichenette with microwave, bathroom with shower panel and hydrojets for body massage, safe, hairdryer, air-conditioning, color satellite tv, stereo deck. Unit 8 - studio flat freddy on Lipari town center- Recently renovated 1° floor studio moments from Corso Vittorio Emanuele. Two single beds, kitchenette, shower room (with hairdryer), tv, air-conditioning ( a portable one on the floor). Unit 25 - Capperino -on canneto beach : ground floor flat moments from the beach. Double bedroom, living area with kitchenette, shower room, tv, fan. mandatorily waive rights to any refund.